The U.S. Department of Energy has ranked UC San Diego’s algae biofuels research effort the number one program in the nation for the fourth consecutive year. The latest ranking is contained in a recently released report from the agency’s Bioenergy Technologies Office that summarized an external review of its research, development and demonstration programs. 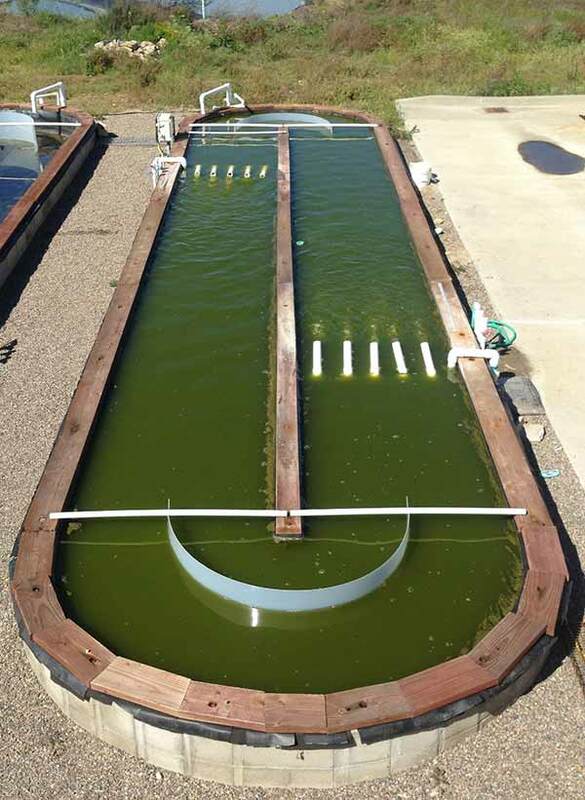 That review ranked UC San Diego’s algae program number one out of 27 others in the nation at universities and national laboratories funded by the agency. “Our number one ranking for the past four years is a testament to both the deep technical expertise we have in San Diego, as well the breadth of topics in algae biotechnology that we cover,” said Stephen Mayfield, a professor of biology at UC San Diego who heads the university’s algae biofuels research effort and directs the California Center for Algae Biotechnology, or “Cal-CAB,” a consortium of academic researchers in California working with industry to develop renewable transportation fuels and other sustainable products from algae. The report also called UC San Diego’s successful field trial of genetically modified algae, which was approved by the U.S. Environmental Protection Agency, “a game changer” that will be critical in the future in establishing the viability of using genetically modified algae to develop cost-effective transportation fuels. Details about that field test and the production last year of the first surfboard made from algae by UC San Diego researchers, a development that is being commercialized this year, is contained in a report available here summarizing the successes of Cal-CAB’s funding since 2010. In 2010, the Department of Energy awarded a consortium of universities and companies headed by UC San Diego $9 million for basic research that would pave the way toward making biofuels from algae a viable and competitive alternative to gasoline for our nation’s transportation fuel. The agency provided an additional $2 million last year. That federal support was supplemented by $3 million from biotechnology and energy companies, making available a total of $14 million for research. Despite receiving the agency’s highest marks, the U.S. Department of Energy no longer funds UC San Diego’s algae biofuels program, said Mayfield, who is looking for another major grant to continue the program’s efforts.